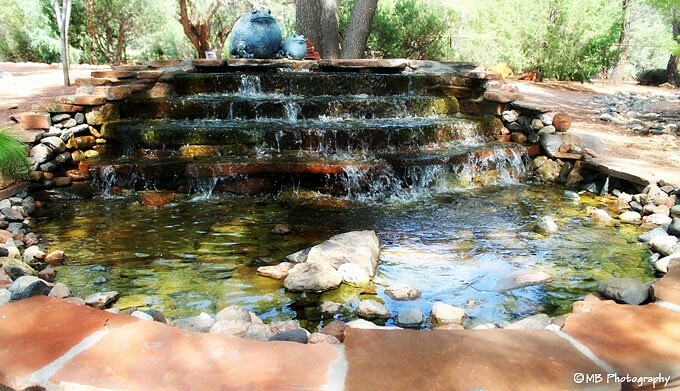 Water features can transform any outside space into a beautiful outdoor living area where you can relax and unwind to the gentle sounds of running water. 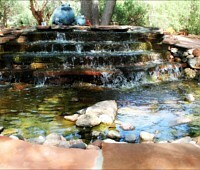 With their natural ability to attract a variety of birds and wildlife, water features are a natural focal point. 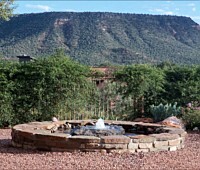 Landscape Magic can create a backyard oasis for you. 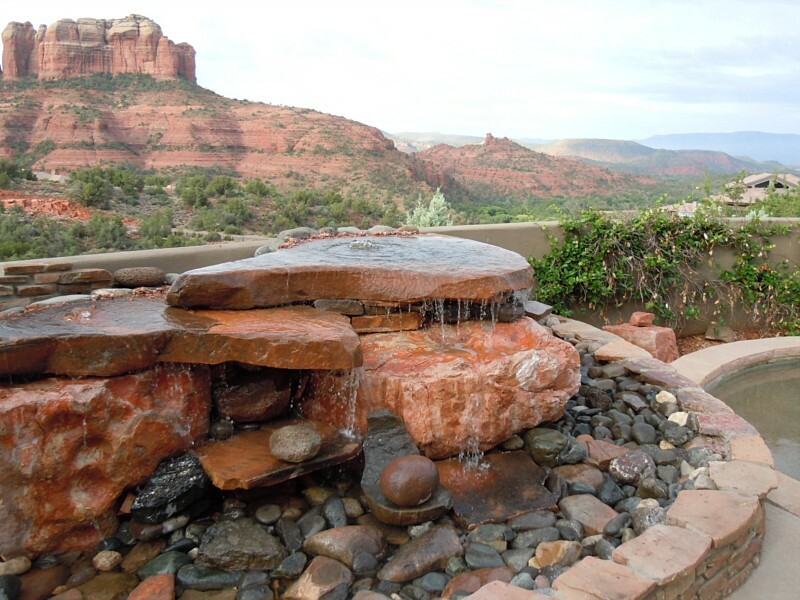 We have been designing and installing a wide range of water features for our residential and commercial clients throughout greater Sedona, AZ for a long time. 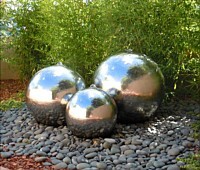 Our clients are always delighted with our unique and innovative creations. Let us add you to our long list of satisfied clientele. 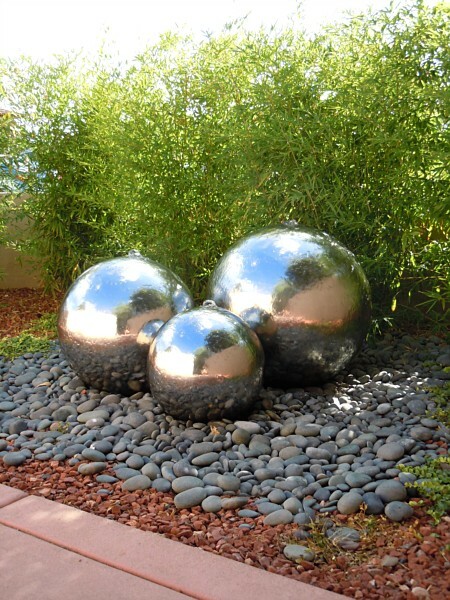 At Landscape Magic we have extensive experience in the field of water features and have installed so many types in a variety of sizes. 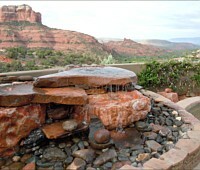 So no matter how small or large your project may be; we have the contractors ready to take on your new water feature! 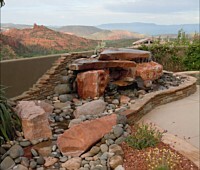 At Landscape Magic we understand that different clients will have their own specific needs, style and tastes. 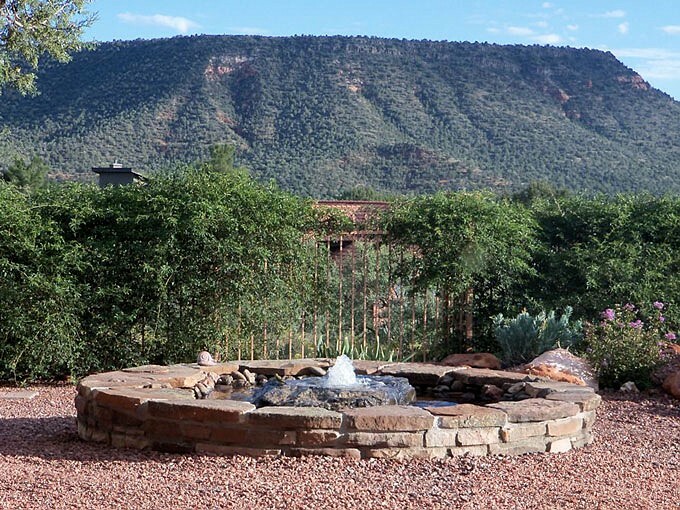 For this reason our landscape designers will custom design a water feature to suit your personal requirements and of course your property. Feel free to browse through our gallery of completed projects to get some design inspiration. Our designers will sit down with you and guide you all the way through and provide you with as much assistance as you may need. We use the latest landscape design software to provide you with a visualization of the proposed design before any works are commenced. This gives you the opportunity to make all necessary changes to ensure your complete satisfaction. 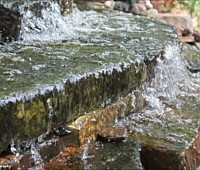 When installing such features involving the implementation of water it is really best to leave it to the professionals. You don't want to get it wrong because you could incur some hefty costs getting it right again. 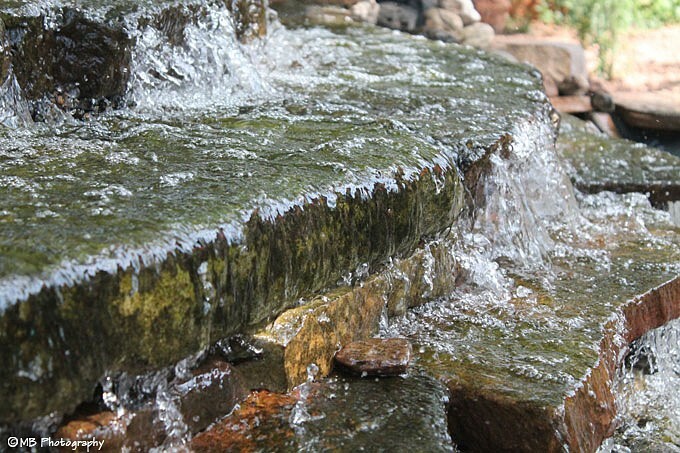 Trust your water feature project to the team at Landscape Magic and all you need to do is sit back and watch it all come to fruition. 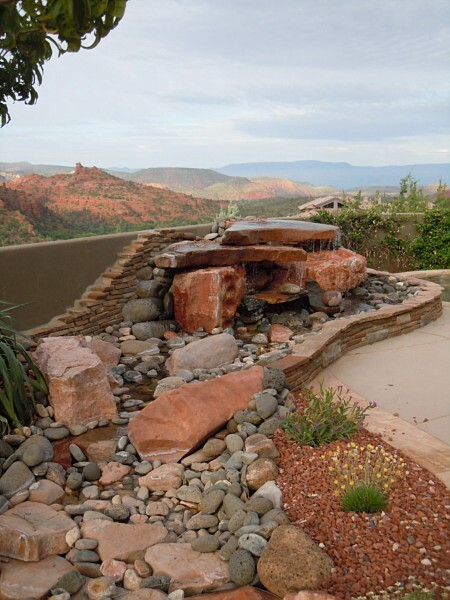 Let us get you one step closer to having the water feature that you have always dreamed of; contact us today and we will send one of our professionals out to your property for a free consultation!